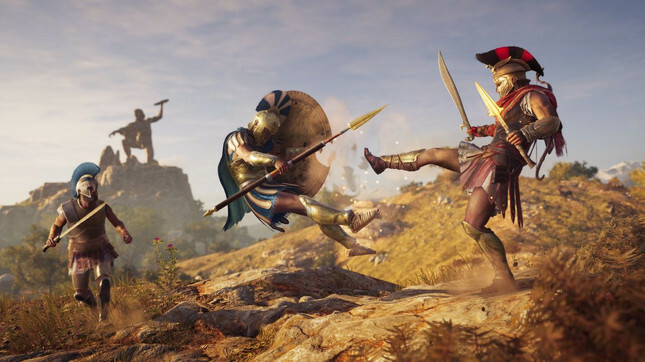 Ubisoft's recent plans to include live mercenary hunts in Assassin's Creed Odyssey have hit another roadblock. The intention was to have limited time events in which players could track down and eliminate epic mercenaries. Technical issues have however brought these plans to a grinding halt. The previous two mercenary events were cancelled due to the event not appearing for a large number of players. It would seem Ubisoft is still having issues, as they confirmed that a fix is intended to alleviate the issue by the end of the month. "Two weeks ago, when we attempted to launch the first Epic Mercenary Event with Damais the Indifferent, we discovered that the content didn’t properly appear for a majority of our players. It wasn’t satisfactory to have an event available to only a portion of our players, so we decided to temporarily remove the Epic Mercenary Events from the game altogether until the issue is resolved. We are working on a fix and are hoping to introduce them later this month. We will provide an updated ETA as soon as possible." In place of the Mercenary Event, Uisoft will instead " activate 1x Epic Ship Event each week moving forward. And as a thank you for your patience and understanding, we will be activating a discount of -80 Orichalcum for the Legendary item that Sargon (Oikos of the Olympians) will sell next week." Now that Assassin's Creed Odyssey has been out for a month, what are your thoughts on it? Let me know in the comments below!